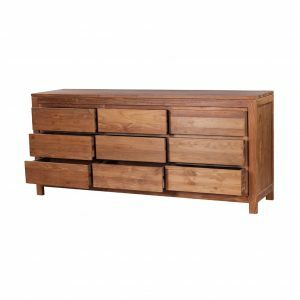 The ‘Meno’ Reclaimed Teak Wood Tall Drawers are a modern design with concealed groove handles and flush fronted design. The ‘Meno’ is great reclaimed furniture for alcoves or hard to fill gaps, or as a feature unit. Click here for a wood sample. The ‘Meno’ Reclaimed Wood Tallboy. 45 x 45 x 105cm – custom sizes also available. Crafted in a modern design with concealed groove handles and flush fronted design. The ‘Meno’ is great reclaimed furniture for alcoves or hard to fill gaps, or as a feature unit. 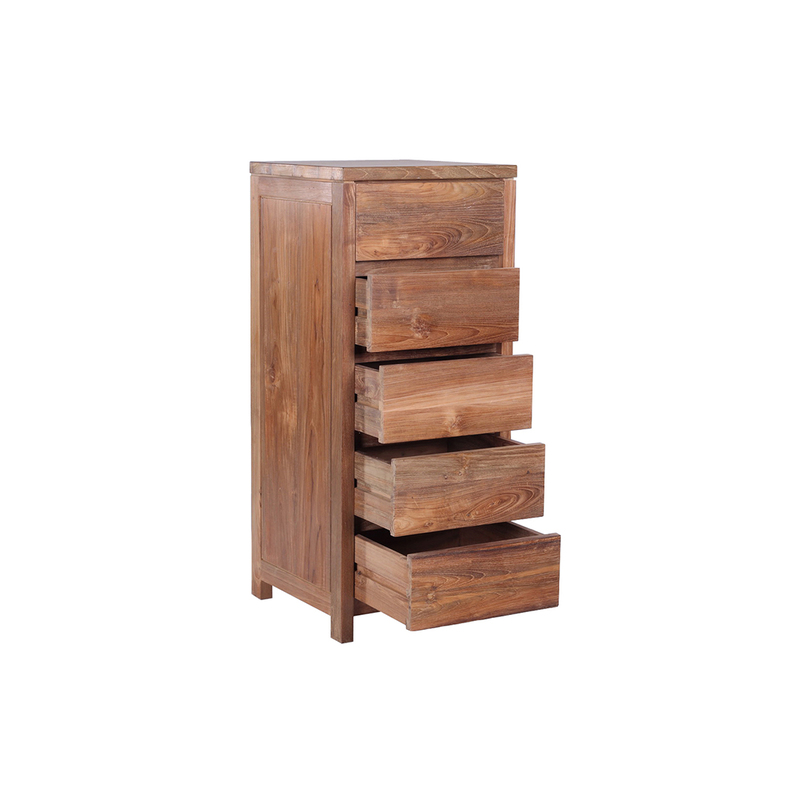 The ‘Meno’ tallboy chest of drawers are made from 100% reclaimed teak. Recycled teak furniture is made from slow growing hardwood that has also been previously used. Reclaimed teak has matured for many years, producing a rich grain and colour. 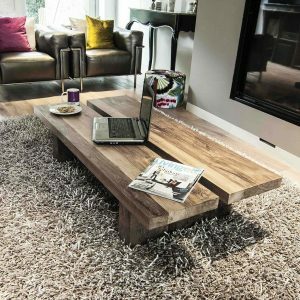 The natural oils in reclaimed teak mean it is ultimately stain resistant. 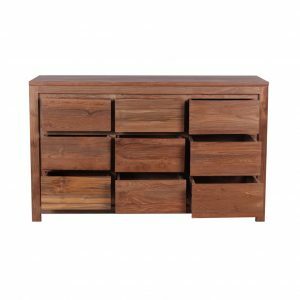 All the furniture Ombak has is made from reclaimed teak, including the Meno Reclaimed Wood Tallboy. Reclaimed Teak is previously used teak that comes from old Dutch colonial buildings in Indonesia. Modernisation in the far-eastern country has seen many of the old style wooden buildings replaced with brick and mortar. The original buildings were built more than 100 years ago from solid teak, and it is this wood that is recycled to make Ombaks products. 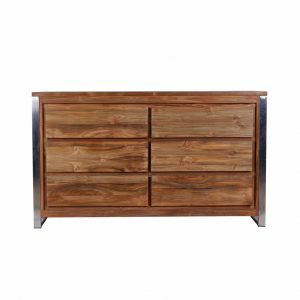 With Ombak you are buying more than just a reclaimed wood tallboy – you are buying heritage, culture and beautiful furniture to live with and base a home around. See our full range of stunning, fully reclaimed furniture. 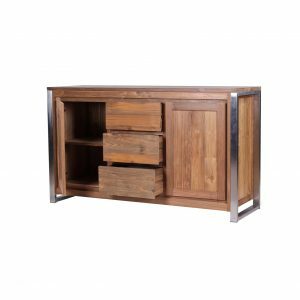 Ombak has a unique spot in the furniture marketplace, providing items such as this Meno Reclaimed Wood Tallboy and many more. Ombak provides a unique, fully sustainable product and is able to offer a refreshing alternative to mainstream purchasing. Ombak offers premium eco-furniture at competitive prices. Click here to see our Testimonials.